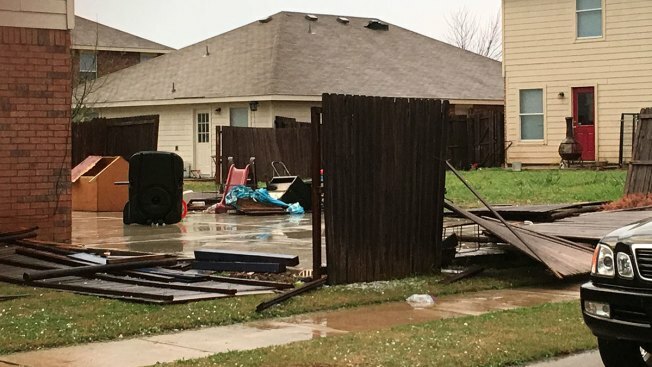 North Texans are cleaning up after severe storms packed quite a punch Sunday night. Not only was there damaging hail, some the size of baseballs, some neighborhoods reported damage that made them wonder if a tornado had come through. One NBC 5 viewer in a neighborhood off Highway 114 in Rhome wondered if a tornado was confirmed. "I live in the Shale Creek neighborhood and we were hit pretty hard with lots of damage," writes Nikki Maples. NBC 5 Meteorologist Rick Mitchell look into the latest reports from the National Weather Service, which assesses damage after severe weather moves through. The damage was caused by 80 mph straight-line winds, which can be every bit as damaging as a tornado. The NWS says there were no twisters in North Texas on Sunday.